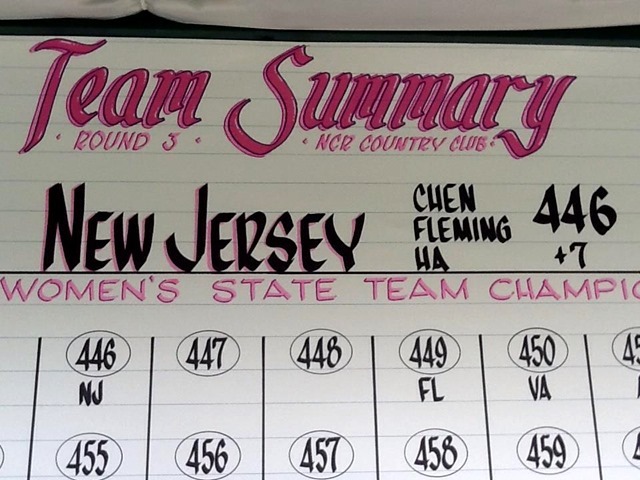 Congratulations to Team NJ who won the USGA State Team Championship! Alice Chen, Cindy Ha and Tara Fleming (shouldn’t that be Tara Kim or Lee) took home the crown. Tara is a former LPGA pro who I had the pleasure of working for on many occasion. This entry was posted on Thursday, September 19th, 2013 at 6:49 pm and is filed under Uncategorized. You can follow any responses to this entry through the RSS 2.0 feed. You can leave a response, or trackback from your own site.